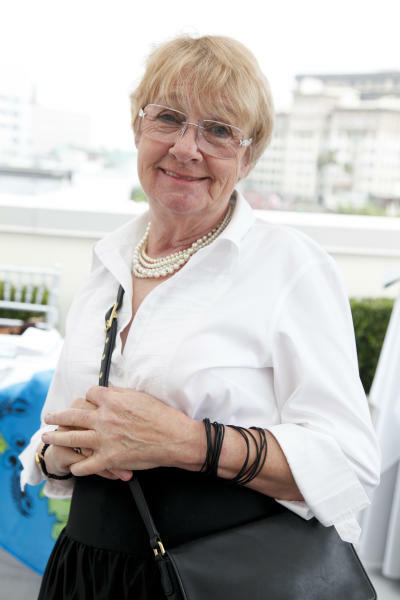 FILE: Actress Kathryn Joosten Has Died At Age 72. 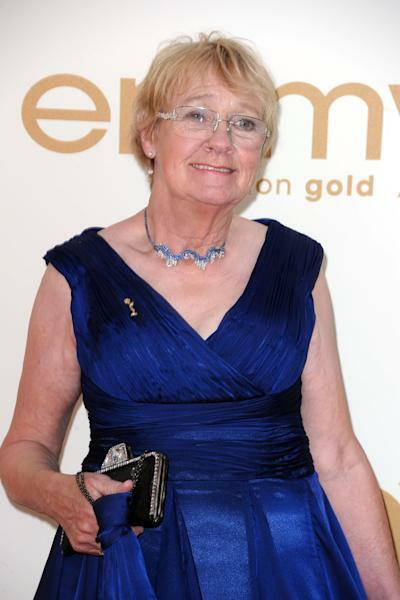 LOS ANGELES (AP) — Kathryn Joosten, a character actress best known as the crotchety, yet loveable, Karen McCluskey on "Desperate Housewives" and the president's secretary on "The West Wing," has died. She was 72. Joosten "was surrounded by love and humor 'til the end," her family said in a statement. "We are laughing through our tears." Joosten won two Emmy awards for her portrayal of Mrs. McCluskey, who kept a close eye on her Wisteria Lane neighbors on "Desperate Housewives." The hit show ended its eight-year run on ABC last month with a series finale in which Joosten's character passed away. Her character's battle with cancer was a story line in the show. Joosten's "Desperate Housewives" co-stars took to Twitter to express their condolences. Brenda Strong said in a tweet: "Wisteria Lane won't be the same without you." Joosten was a psychiatric nurse and single mother in suburban Chicago when she began her acting career at 42. She wrote on her website that she pursued her childhood dream of acting after getting involved with her hometown theater in Lake Forest, Ill.
She said she received her first break when she was hired to be a street performer at Disney World in Orlando. She worked odd jobs to make ends meet and moved to Hollywood in 1995. She said she landed her first small role within months on the comedy "Family Matters." Over the years, she found steady work appearing in such popular shows as "Dharma & Greg," ''Ally McBeal" and "Scrubs." She became a familiar face to fans of NBC's "The West Wing" when she appeared as Dolores Landingham, President Jed Bartlet's trusted secretary.